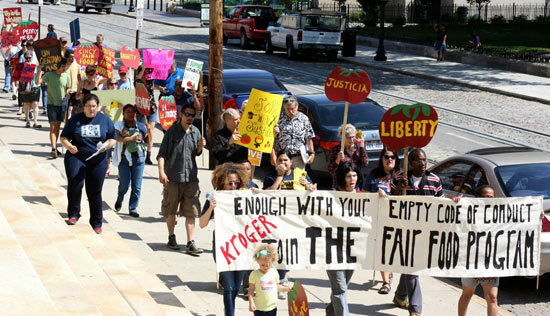 Kroger slams door on human rights at shareholder meeting in Cincinnati! No one saw that coming. Since the days of the Taco Bell boycott in the early 2000’s, members of the CIW and their allies have joined forces to attend and address shareholder meetings from Louisville, Kentucky, to Amsterdam, the Netherlands. They have done so using shareholder proxies, the established practice by which a shareholder not attending the meeting authorizes the CIW to attend and speak in his or her place. And in the decade since the CIW attended its first shareholder meeting, not once has the CIW delegation been turned back at the door. Ignored after speaking their piece inside the meeting? Of course. Brushed off by company executives with platitudes? More than once. But never once flatly refused entry and denied the right to present the case for Fair Food to company executives and investors. 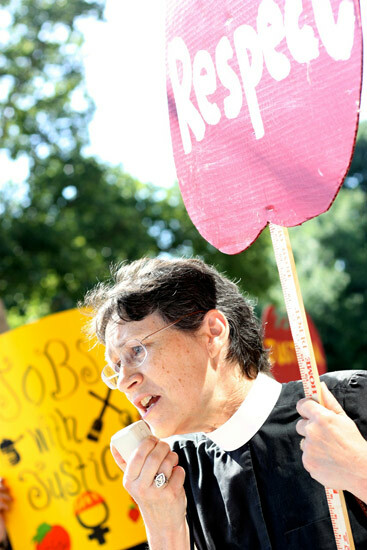 In a truly remarkable departure from corporate protocol — one that, while superficially projecting power, in fact bespeaks surprisingly faint-hearted leadership at the highest levels of the country’s largest supermarket — Kroger refused to allow a delegation of CIW and religious leaders to enter, much less to address, its annual shareholder meeting in Cincinnati last Wednesday. 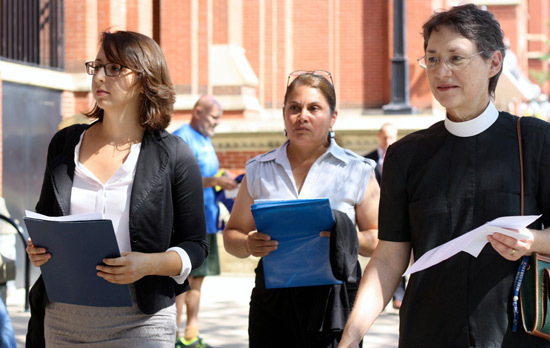 In the picture above (from left to right), Claire Comiskey of Interfaith Action, Nely Rodriguez of the CIW, and Mother Paula Jackson of Church of Our Savior of Cincinnati return to join protesters outside the Kroger shareholder meeting after being turned back at the door by Kroger representatives. 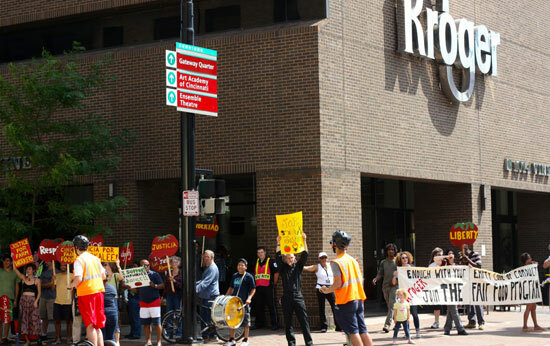 The CIW delegation was attempting to attend the Kroger annual meeting with legitimate proxies in hand, as it had — without incident — for the past four Kroger shareholder gatherings. 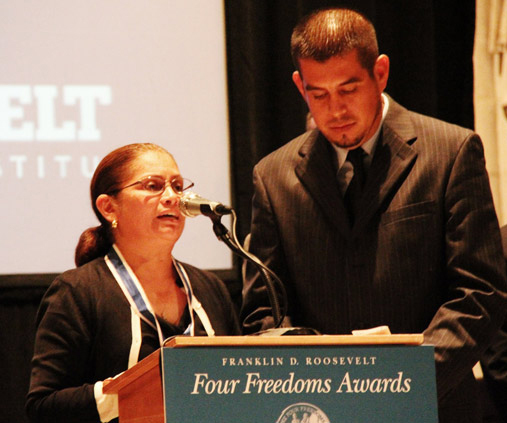 But this time, the company flatly rejected the delegation’s proxies and so “protected” its shareholders from the Fair Food message of progress and human rights for farmworkers in Kroger’s supply chain. But this time, things would be different. When the delegation returned and recounted its unprecedented treatment at the hands of company representatives, the crowd was indignant. 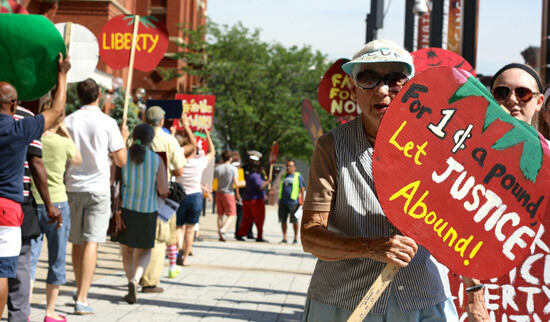 Unwilling to accept the rebuff without a fight, the protesters decided to make their message heard by launching an impromptu march through Cincinnati’s streets to Kroger’s corporate headquarters. So in the end, Kroger’s attempt to shield its shareholders from the truth backfired, plain and simple. Instead of protecting investors from the call for Fair Food, Kroger’s decision to block the CIW delegation at the door only resulted in amplifying the workers’ voices. 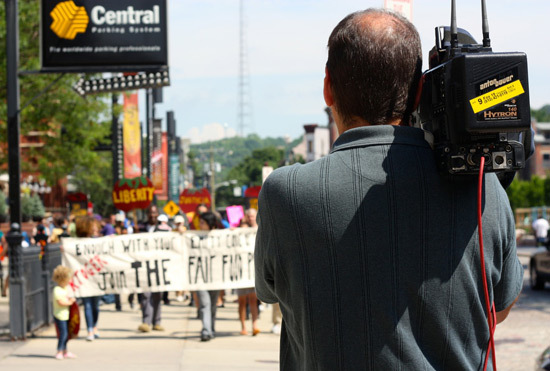 Through the march witnessed by thousands of city residents, and through the press coverage (be sure to check out the great report on the action from the City Press, Cincinnati’s alternative local weekly, entitled “Group Asks Kroger to Support Farm Workers”), the Fair Food message gained an urgency and amplitude that it could never have achieved behind the closed doors of Kroger’s annual meeting. 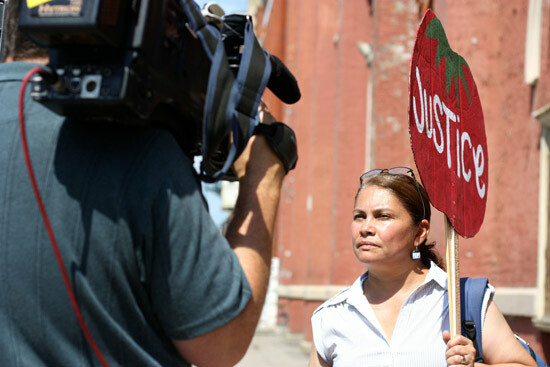 What’s more, Kroger’s remarkable decision to try to silence the men and women whose undervalued wages have helped pad the company’s profits for decades only stiffened the resolve of those workers’ Ohio-based allies, allies like Mother Paula who announced to the crowd that she would be encouraging her order to purchase shares themselves in the coming year so that they would not have to rely on proxies to enter the meeting next summer. 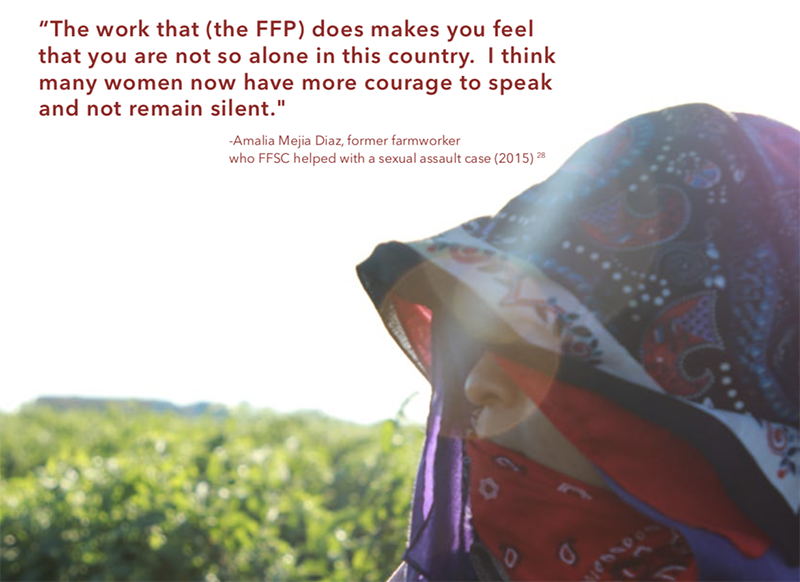 My name is Nely Rodriguez and I’m a member of the Coalition of Immokalee Workers (CIW) in the state of Florida, an internationally recognized farmworker organization addressing the longstanding history of abuse in the fields. This is the fifth year that we have come to this meeting to urge Kroger to join the Fair Food Program — but this time is different. This past January, Walmart joined eleven other corporations to meet the highest ethical standards in their US grown tomato supply chain. 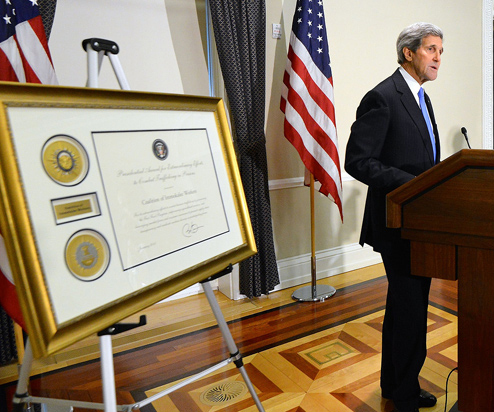 The Program has been recognized by the United Nations and the White House, and was recently described as “the best workplace monitoring program in the United States” on the front page of the New York Times. This fall, a new documentary, Food Chains, focused on the Fair Food Program, and produced by Eva Longoria, will premiere. When this happens, Eva Longoria will celebrate the participating corporations and publicly criticize those that are not. Mr. McMullen, why would you deny your shareholders the security of knowing that Kroger is participating in this groundbreaking program, thus avoiding future public scrutiny and ensuring that abuse in the fields persists no longer in Kroger’s supply chain? My name is Mother Paula Jackson of Church of Our Savior, la Iglesia de Nuestro Salvador, here in Cincinnati. As a person of faith and local resident, I am proud to lead a parish that is a Community Partner with Kroger. As such, we are big customers, highly invested in Kroger’s success. And I think your commitment to social responsibility is integral to that success. Mr. McMullen, Kroger has justified its refusal to join the Fair Food Program by insisting that Kroger’s monitors its own supply chain with its own code of conduct. This claim remains utterly empty next to the Fair Food Program, an established, proven solution to decades of abuses that are finally on their way to eradication from the fields. 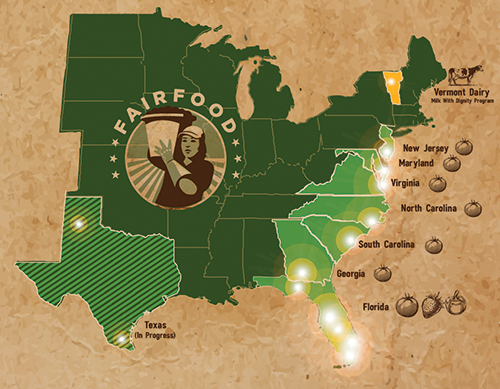 Under the Fair Food Program, a third party monitoring body, the Fair Food Standards Council, audits 45 farms locations. In the last three years, it has interviewed 4,000 workers and fielded 600 complaints with rigorous and effective investigation. 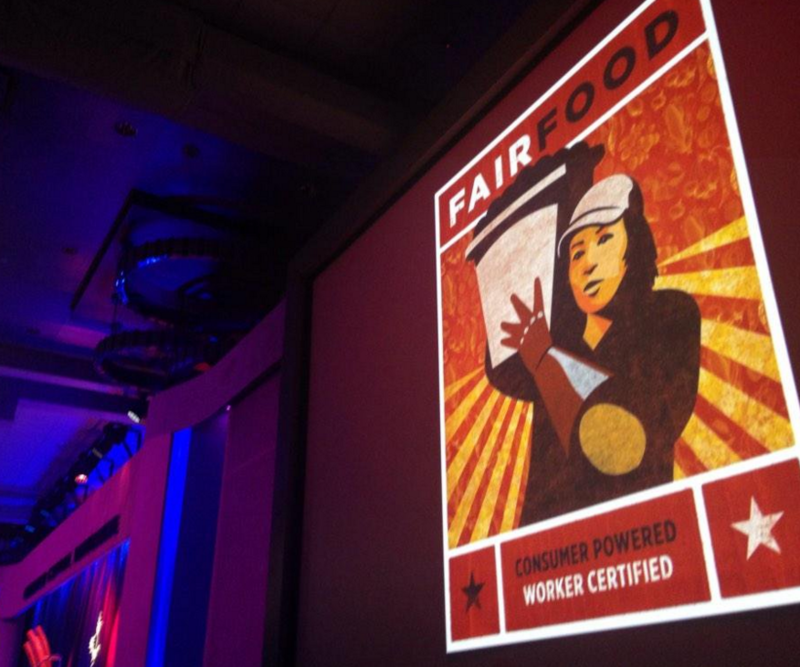 Kroger has also justified non-participation by insisting that you already buy from Fair Food Program farms. 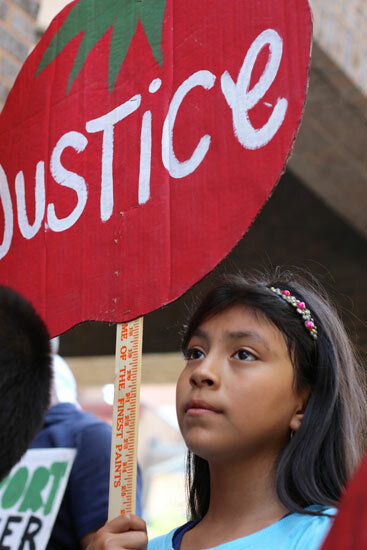 First of all, it is disingenuous to claim the remarkable strides of this program as a demonstration of Kroger’s commitment to human rights in its supply chain, when Kroger has been visibly absent from the table of farmworkers, growers and retailers in designing the program which you now laud, and when 90% of Florida’s farms are participating in this program. Of course you’re likely buying from those farms. 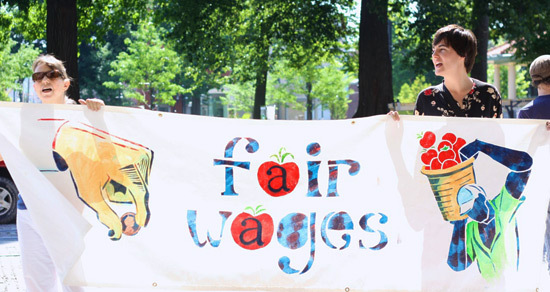 No, joining the Fair Food Program consists of something painless but crucial: Committing to, on occasion, cut purchases from farms that violate farmworkers’ rights. 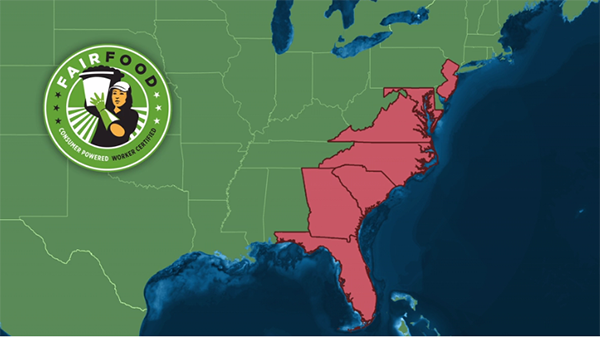 Just a decade ago, Department of Justice officials named Florida agriculture “ground zero for modern-day slavery.” And yet, since the inception of the Fair Food Program in 2010, there have been zero cases of modern-day slavery uncovered. Kroger’s participation is needed to strengthen and expand this success. We all know that Kroger’s does not have the resources to ensure that the rights of all tomato workers in Florida are upheld. The good news is, no one is asking you to. An existing solution has already been created. All you have to do is join it. 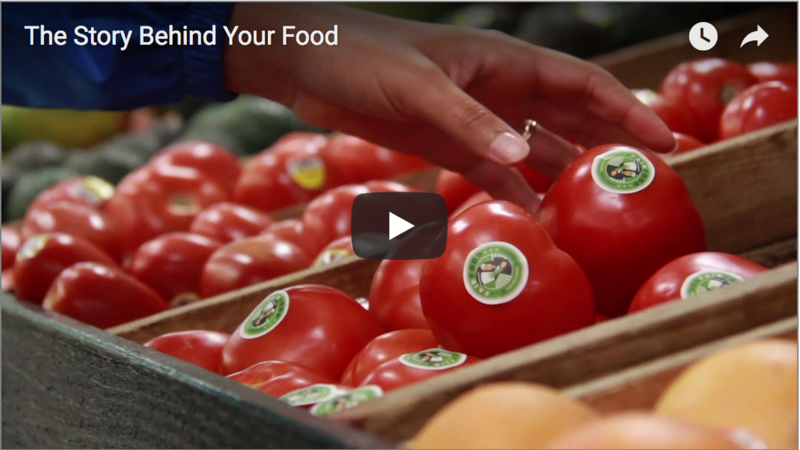 When Kroger professes to be committed to real investigation of supply chain conditions, and a proven, established program to eliminate abuses exists — and a light is being shone on your competitors for having joined it — why not join the Fair Food Program? Cumberland Presbyterian women “Step Out” for Fair Food!